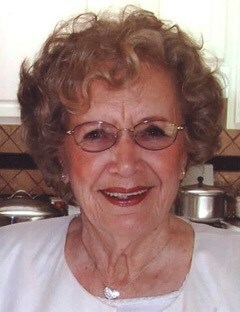 Mrs. Mary Louise Baker, age 78 of Piney Flats, passed away Friday, September 28, 2012 at her residence. Mrs. Baker was a native and lifelong resident of Piney Flats. She was the daughter of the late Lawrence Walter Feathers and Dimple Rachel Carr Feathers. In addition to her parents, her husband Roy Edward Baker, preceded her in death. Mrs. Baker retired from Raytheon after twenty years of service. Her passion was being a caregiver and helping families in their time of great need. She so loved her Savior Jesus Christ and enjoyed special times with family. Mrs. Baker was a phenomenal cook and joyfully prepared large meals to ensure no one went away hungry. She was a member of the Hawthorne Church of the Brethren. Survivors include two daughters, Mary Elizabeth Shephard and her husband Donnie of Elizabethton and Elena Baker Hyder of Piney Flats; four sons, Rickey Thomas and his wife Tammy of Maryland, Robert Thomas and his wife Pam of Maryland, Mike Baker and his wife Jaime of Piney Flats and Jeff Baker and his wife Mitzi of Bluff City; two sisters, Lucille Humphrey of Piney Flats and Sarah Baker of Johnson City; two brothers, J.D. Feathers and his wife Gail of Johnson City and Osler Feathers and his wife Vivian of Piney Flats; twelve grandchildren; several great grandchildren. The funeral service for Mrs. Mary Louise Baker will be conducted at 8 PM Sunday, September 30, 2012, in the Morris-Baker South Chapel. Pastor Larry Dugger will officiate. The graveside committal service will be conducted at 11 AM Monday in the Shell Cemetery, Piney Flats. Active pallbearers will be sons and grandsons. Minister, family and friends are requested to meet at the cemetery by 10:50 AM Monday. The family will receive friends from 6 to 8 PM Sunday prior to the service. In lieu of flowers the family requests that memorial contributions be made to ALS Association, 301 Louise Street, Kingsport, Tn. 37660. Louise was a wonderful person. Now she is with our Savior and will never have anymore pain. My prayers and thoughts are with the family. No more pain, no more sickness…Resting in the arms of Our Lord. NEVER EVER sick again!! I will miss your Beautiful Smile, Pretty Lady!! Dear Family… HEAVEN IS GETTING SWEETER ALL THE TIME.. What a wonderful family you have..My prayers are with you during this time..I apologize for not being able to be with you..Have prayed for the comfort of god and the peace that passeth all understanding.love you all. Elena, Sorry to hear of the passing of your Mom. May you find peace in knowing she isn’t suffering anymore. My thoughts and prayers are with you and your family.